اوستوایی قینه (اینگیلیسجه: Equatorial Guinea) بیر اؤلکه دیر و باشکندی مالابو شهردیر. عمومی داخیلی محصولو ۳۱٫۷۶۹ میلیارد دولار دیر. سوْن نۆفوس ساییمی اساسیندا ۱٬۲۲۲٬۴۴۲ نفر دیر. و ۲۸٬۰۵۰ کیلومتر موربّع ساحه‌سی وار. رسمی دیلی ایسپانیا دیلی دیر. 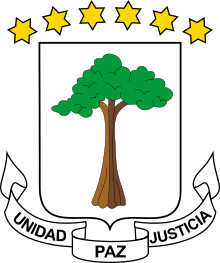 ↑ Government of the Republic of Equatorial Guinea. Equatorial Guinea, member of the Community of Portuguese Language Countries. ↑ Government of the Republic of Equatorial Guinea. Acts continue to mark Portuguese Language and Portuguese Culture Day. ↑ PRNewsWire. Equatorial Guinea Adds Portuguese as the Country's Third Official Language. یوْخلانیلیب18 July 2015. ↑ World Directory of Minorities and Indigenous Peoples – Equatorial Guinea : Overview. UNHCR (20 May 2008). یوْخلانیلیب18 December 2012. ↑ Dickovick, James Tyler (2012). Africa 2012. Stryker Post. p. 180. ISBN 1-61048-882-2. Retrieved 18 December 2012. 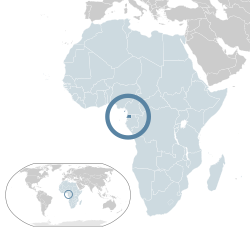 ↑ Equatorial Guinea country profile. BBC (2017-08-20). ↑ 2015 Census Preliminary Results. inege.gq. ↑ World Economic Outlook Database, April 2016. IMF. قارداش پروژه‌لرده اوستوایی قینه گؤره داها آرتیق بیلگی‌لر تاپابیلرسینیز.